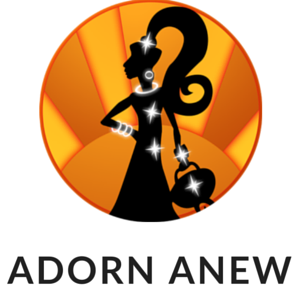 Adorn Anew is now on the road visiting and trading at Events such as Fairs, Festivals and Markets. We are bringing both our Artisan and Vintage Jewellery and these are exciting times for us. Having traded online for many years with our Ebay, Depop and Facebook Stores, our expansion into live Events has meant that we can show people exactly what we have to offer. Sometimes photographs do not do our products justice. The types of items we sell are very tactile and need to be seen. Although we make sure we take close-ups, and give honest descriptions of our jewellery and accessories, it is nice to physically show people our unique product range. We have also opened an Etsy shop to showcase some of our Vintage pieces for Ladies and Gents. the feeling is that some of our items warrant a more targeted audience that Etsy provides for the Buyer and the Seller alike. More stock to be added over the coming weeks. Following the amalgamation of our Bitz ‘N’ Bobz Ebay Store into Adorn Anew, we decided to give ourselves more exposure through another selling site that specialises in both Vintage and Hand Made Items. If you want to see us at an event, we have posted them on our Facebook Page attached to the pinned post and some can be seen in the Events section. Whether you purchase from us at and Event or online, we would love to see you.